Scope of Work: Design, Financial Modeling, Procurement, Construction Oversight. Product Categories: LED Display Systems, Scoring, Integrated Digital and Static Signage. 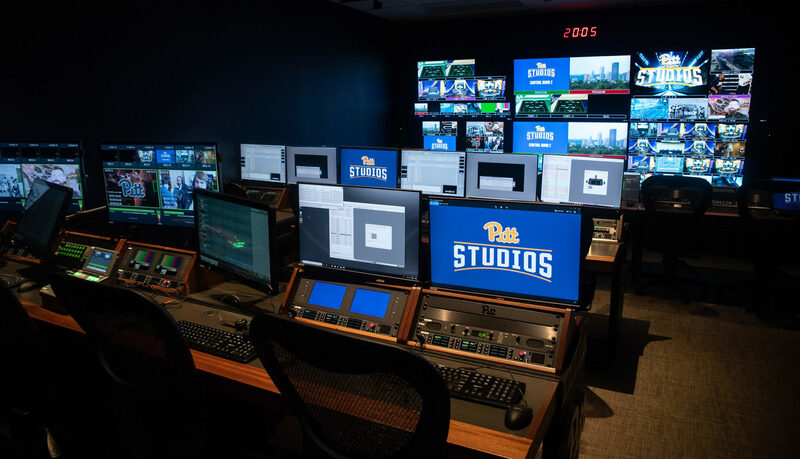 A 32-foot high and 50-foot wide, 72,500-pound high definition scoreboard with four 6mm main screens and upper and lower 10mm LED video rings. 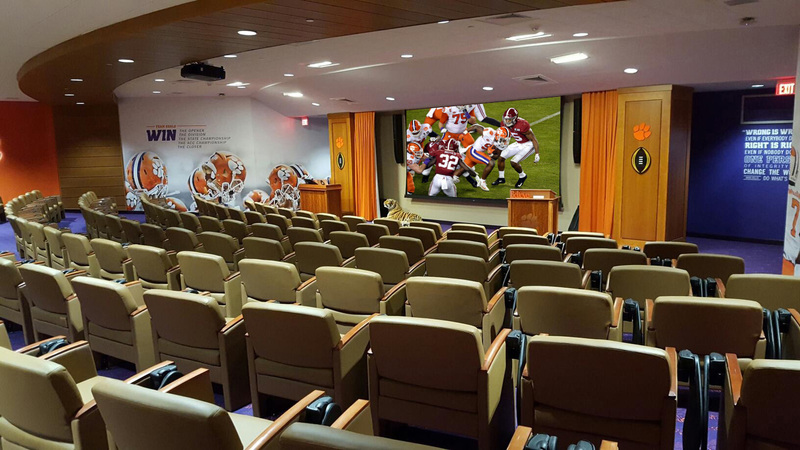 Four additional underbelly video screens to maximize the viewing experience for fans in lower level seating. Structural accent lighting system. The unique center hung features a one-of-a-kind, 28-foot high LED maple leaf superstructure. Independent lighting control enables each face of the iconic, aluminum maple leaf logo to illuminate separately. 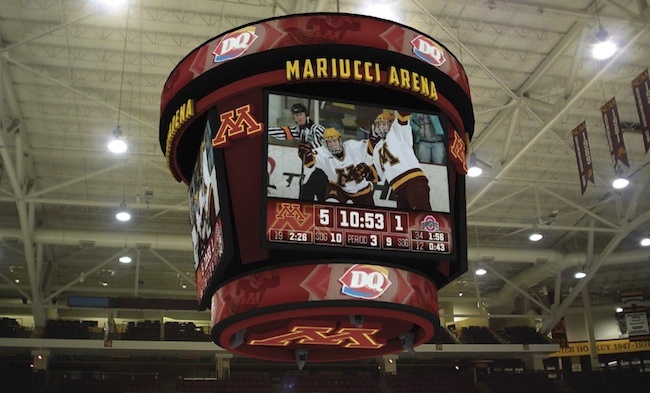 360 degree LED ribbon board display encircling the interior arena fascia. 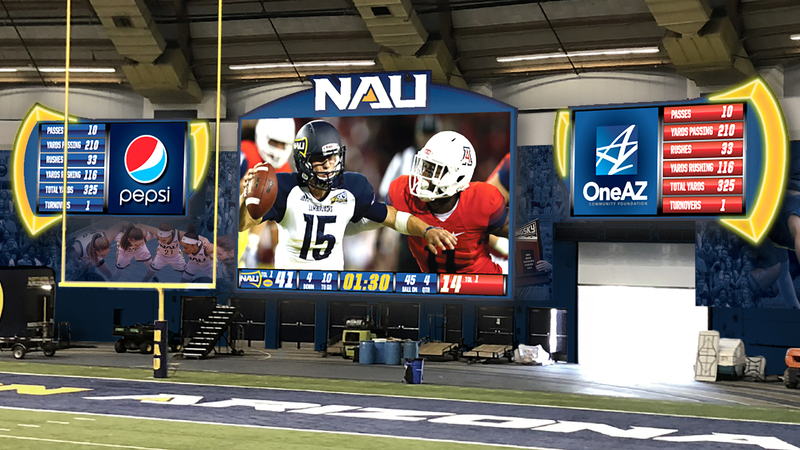 LED end zone displays for statistics and scoring. New integrated scoring system consisting of all new shot clocks and a state-of-the-art control system. 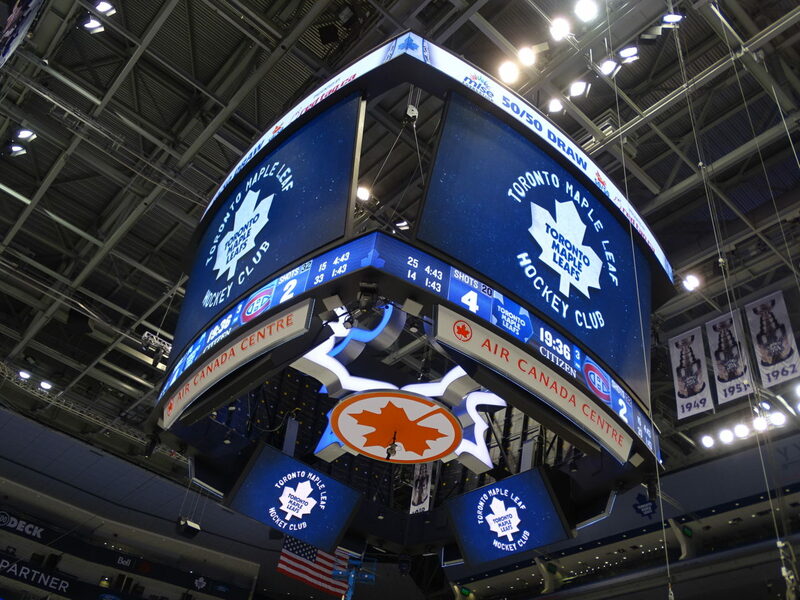 When the Maple Leafs score their first home goal of the season, it might seem like a fully armed silver alien spacecraft is powering up inside the Air Canada Centre’s new $10-million scoreboard. But it’s going to be friendly fire, a sound, light and pyrotechnic show that should make Leafs and Raptors games a lot more interesting, even if the teams are trailing in the game. It’s a Canadian designed and built maple leaf sculpture made of aircraft aluminum that can be seen through the corners of four enlarged LED screens and from underneath. The ACC took a long look at the so-called boxcar model of scoreclock used in arenas such as Tampa Bay and in football venues such as Dallas. But Steele said that such a long design stretching over the bluelines robbed end zone viewers of the experience. The small footprint of the ACC, which borders Union Station and the Gardiner Expressway, also favoured a four sided model. The whole package, the sculpture, the four 18 by 32 feet screens and extra screens under the clock, weighs 80,000 pounds and required some roof reinforcement to hoist into place. It’s possible the Raptors mascot can rappel down from it. At its centre will be a 23-foot-tall aluminum steel Maple Leaf sculpture which will be surrounded by four giant 32 x 18 foot screens, that will be four times as large as the previous scoreboard. Bright lights, big city, big Maple Leaf. On a day where the literally biggest news in Leaf Nation was overshadowed by some hire, Maple Leaf Sports and Entertainment also showed off their new scoreboard, that is in the process of being built. At its centre will be a 23-foot-tall aluminum steel Maple Leaf sculpture — looking a bit like a giant Christmas ornament — which will be surrounded by four giant 32 x 18 foot screens, that will be four times as large as the previous scoreboard. The new scoreboard will weigh approximately 80,000 lbs. and all the in-arena improvements will cost $10 million, and include new improvements to LED screens and banners that depicts out of town scores and advertisements. 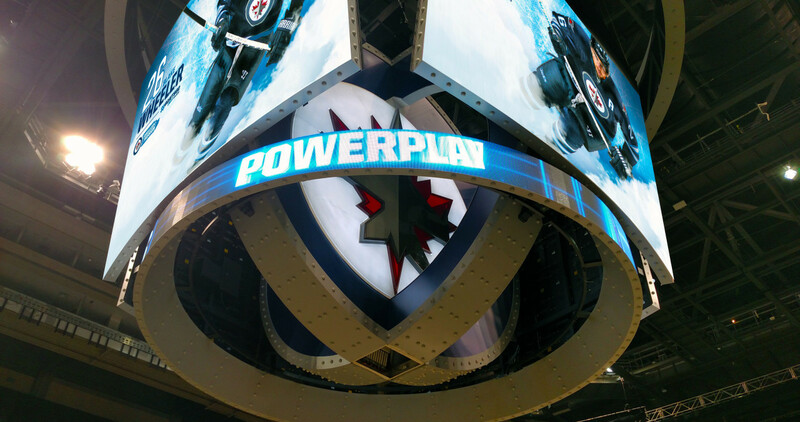 The new scoreboard is following the trend set by other NHL teams with newer, extremely large in-arena screens, likely kicked off by the Tampa Bay Lightning, who still have the largest. Steele said that due to the Air Canada Centre’s size, they had to go a little smaller, so as not to negatively affect sightlines for patrons. 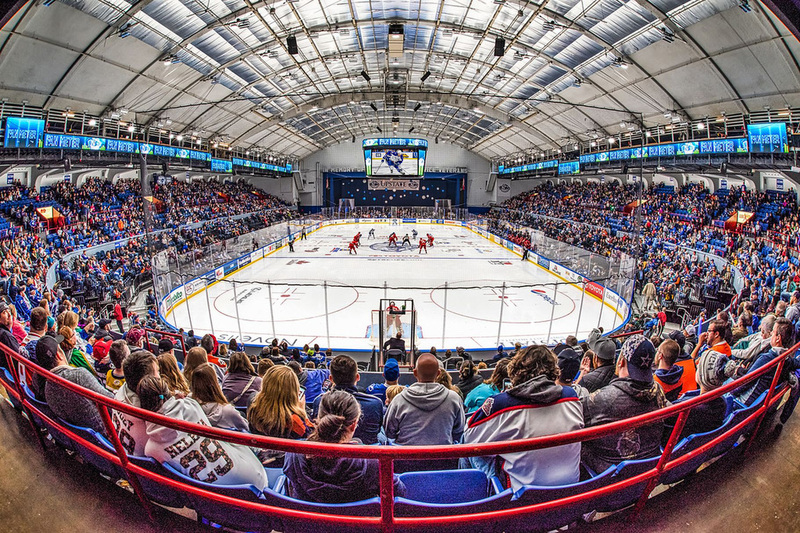 The arena improvements and scoreboard will be built throughout the summer and unveiled at the Toronto Maple Leaf’s Fan Fest in early September. As for the old scoreboard, the company is treating it as a bit of a hand-me-down, as it is being dismantled and being placed at Ricoh Coliseum, so that the Marlies and their fans will also benefit from an improved in-arena experience.